It's been ages since I've even played rFactor, and I haven't ever actually tried to make a car for the game. But, I am a proficient modeler/animator/texturer/etc. I use 3DS Max 2009 SP1 CE, Photoshop CS4, BP3D, and a handful a specialty apps for textures, unwrapping, etc. I typically make aircraft models for games like X-Plane, but have made cars before. So, that side of it isn't a problem. I'm more concerned with the requirements of rFactor in terms of animations, naming conventions, poly counts, collision meshes, damage meshes, scaling, and so on. If anyone would care to share this information, it would be greatly appreciated. Also, any feedback on the FXX would be great as well. I'd like to do a few Ferrari's for rFactor. I'm starting with the FXX, but am considering modeling a 1964 Ferrari 250 LM Berlinetta Le Mans, 1964 Ferrari 250 GTO, and a 1967 Ferrari 330 P4. I thought about starting with the P4, but I thought the FXX would be more fun to drive in game. Feel free to post your comments on which you would like to come next in the line up. Although, it usually takes me about a month or so to make a car (with engine, interior, etc), not to mention all the added elements of making a model for a video game. So, it may be some time before I finish the FXX. Please let me know if anyone would wish to colaborate with me on this project. Any help getting these models made would of course be appreciated. In fact, if anyone is willing to take my models and prep them for gaming use, that would be great as well. That way I can model and texture the car (and animations unless that is done through the rFactor tools), and the I can start on the next car while someone else adds the physics and other stuff. 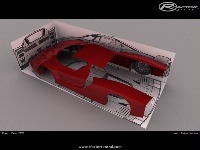 Well, I've been working for about an hour on the FXX and here is what I have. The first stage of modeling is to create a basic "mold" of the object. Adding in details, tight corners, sharp edges, etc, at this point would mean a lot of extra work later fixing stuff. So, right now it doesn't look all that spectacular because of this. Anyway, I thought people would be interested to see the various production phases. Still working on getting the overall shape modeled. Should be ready to start detailing the body work in the next day or so. So, how is the project? 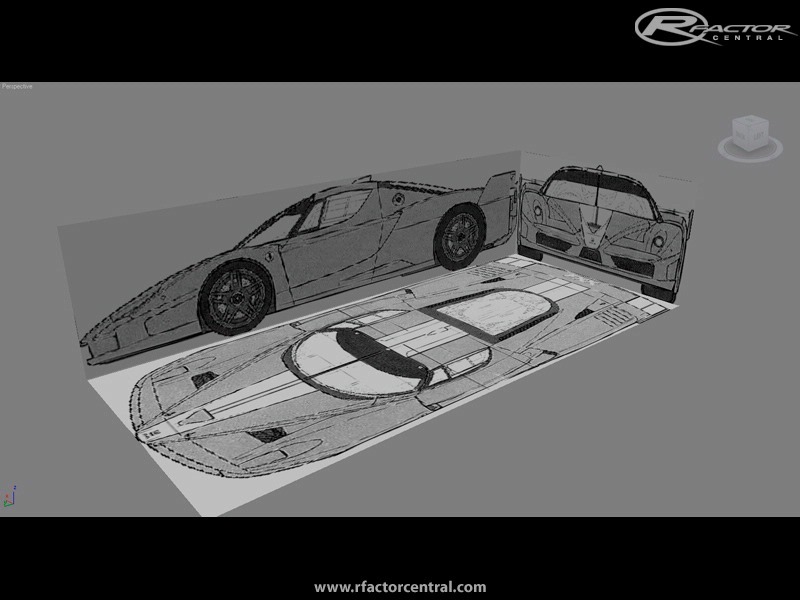 I am willing to help, I can make the rfactor adaptations. Are you still working on it? Yo , Bro ... U hav another link ? 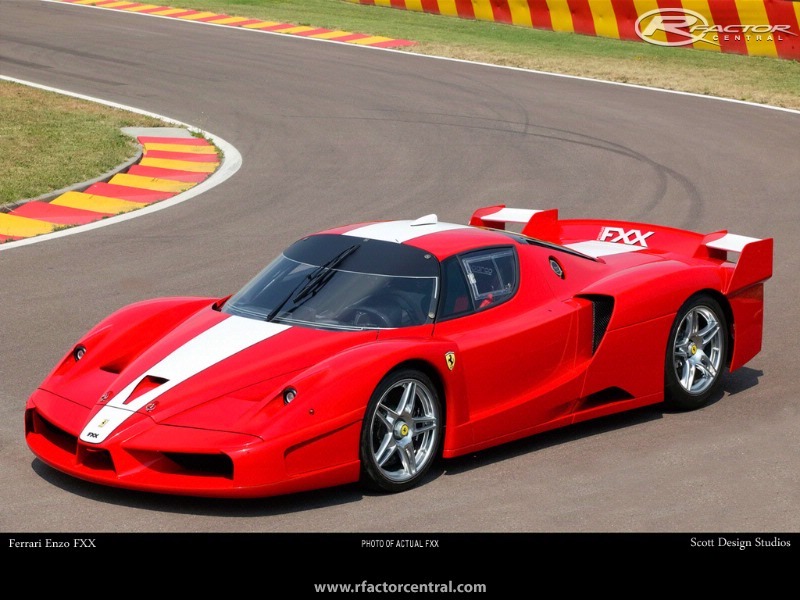 Nice FXX ... Any1 got Enzo F ? could someone post another link? all three WIP download links dont work at all. thanks, and maybee host it on another download server? 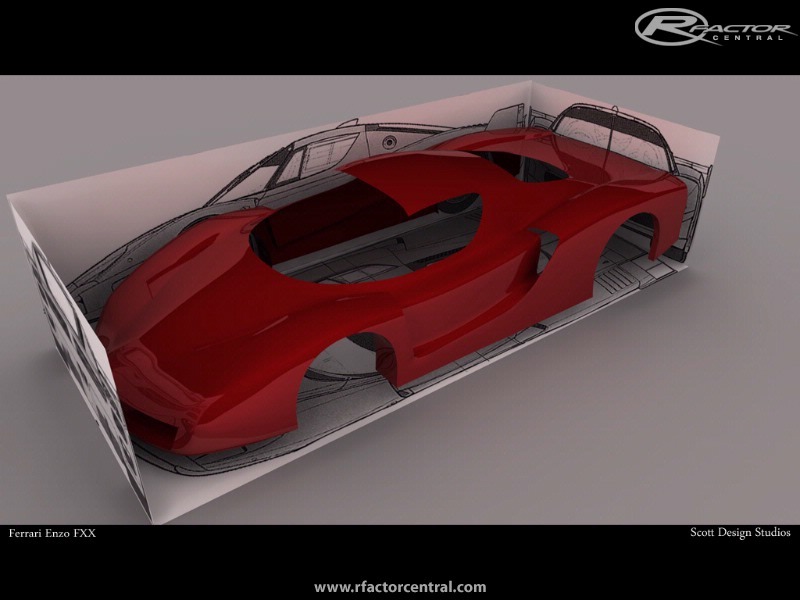 I'm sure the model will be awesome, I think it would be hard to make realistic physics about a car noone has driven, most data are unknown and each of the few created has different aero features. Good luck. 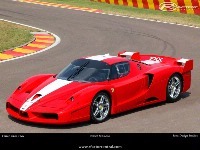 I had played "Ferrari Challenge Trofeo Pirelli" for the PlayStation 2 in thinking about the FXX. It wasn't until I played that game as to where I had new appreciation for the FXX. They are crazy fast and sound great! Best of luck with this project!